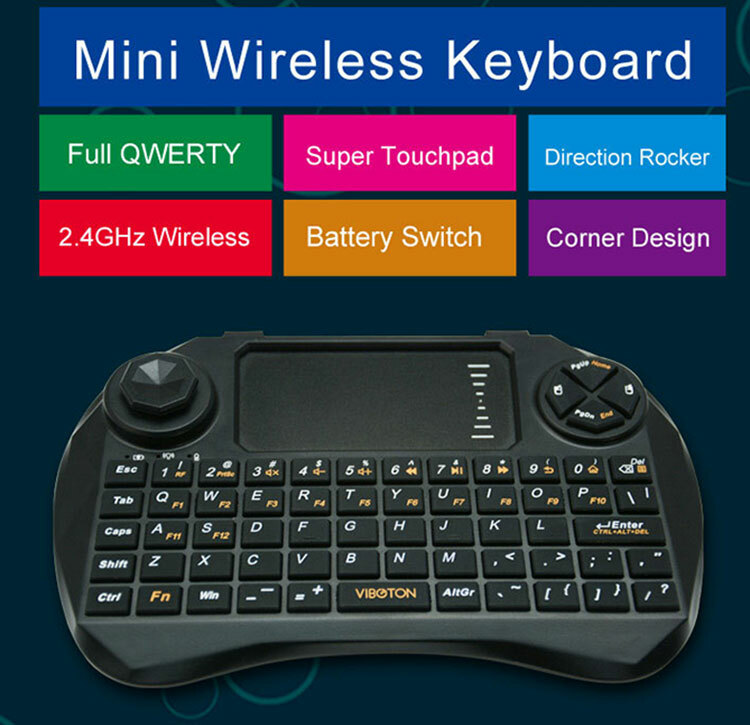 The Viboton X3 Wireless Mini QWERTY keyboard+remote controller+air mouse is an integrated wireless controller that can be used instead of a separate keyboard, mouse and a gaming joystick. This comes in handy when trying to perform tasks like surfing websites, checking emails, playing games and so on. 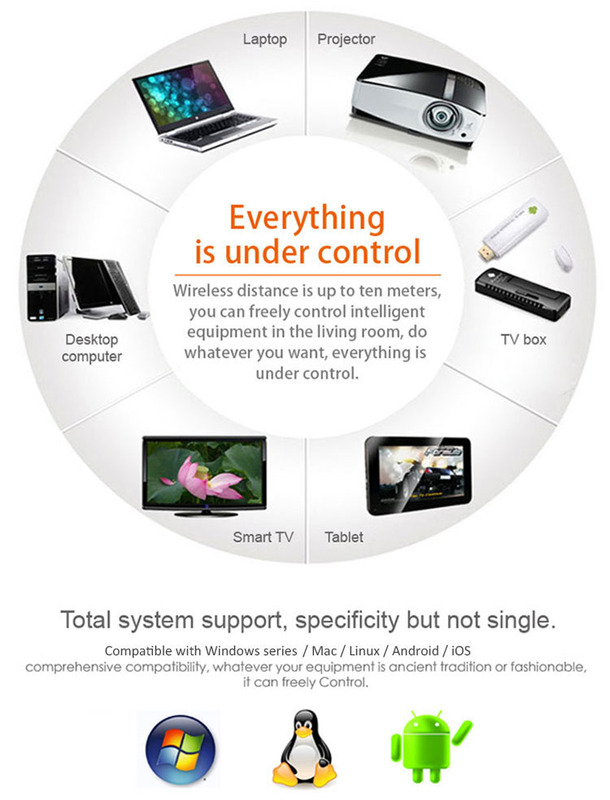 Viboton X3 can be directly interfaced with various devices like tablets, smartphones, laptops, PCs and smart TVs. The keys are elastic and soft touch, so typing won’t be difficult even after prolonged use. And this can be easily interfaced with various mobile devices too. 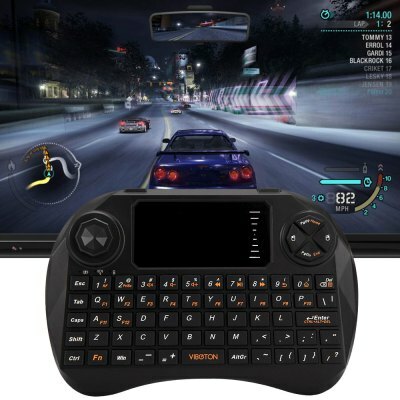 The salient feature by which this integrated controller can replace keyboard and mouse is because it has a built-in touchpad and a direction rocker controller (suitable for playing video games). Other than that, the controller design makes it easy to hold in palms and use thumbs for scrolling as well as for directional movement (as a gaming joystick). 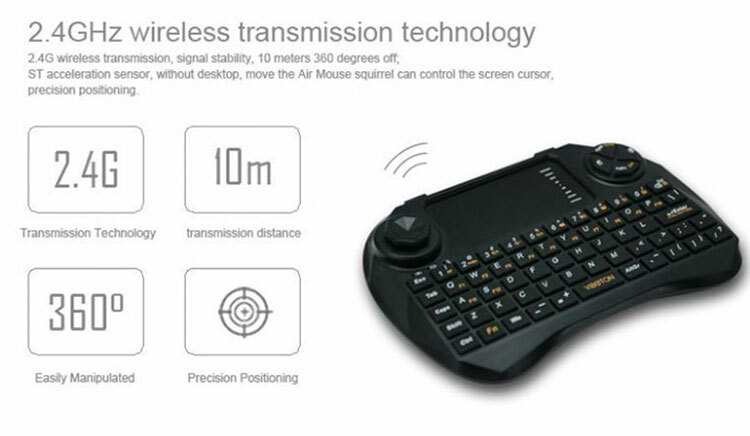 Wireless 2.4GHz QWERTY keyboard, remote controller and mouse which can replace separate keyboard+mouse+gaming controller combination. Highly sensitive touchpad that rotates and flips 360 degrees. Effective range of 10 meters for various tasks like playing video games, web surfing or using apps on smartphones and tablets. Sleekly designed edges and corners and a highlighted surface texture. Works on batteries – either a 1 x Lithium battery (included with the controller) or 2 x AAA batteries (purchased separately). 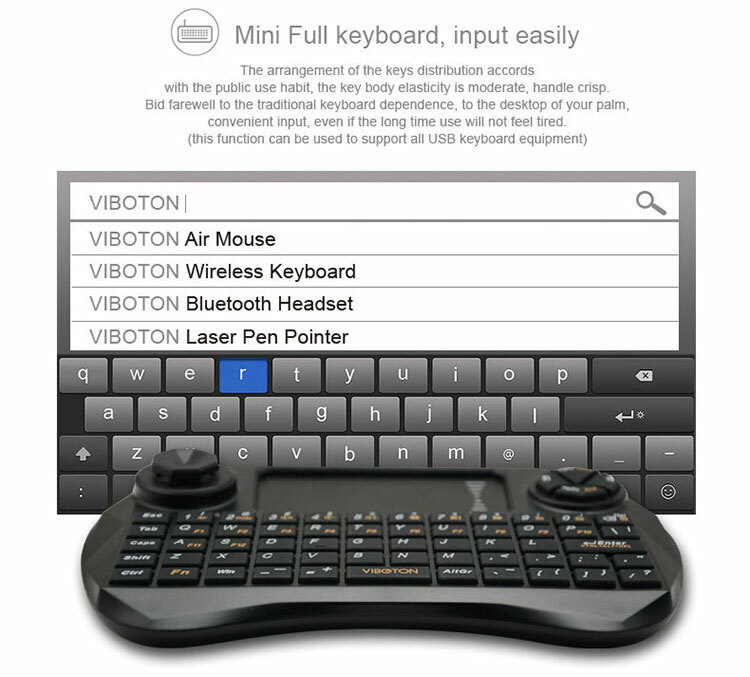 Viboton X3 supports a range of platforms including Windows, Linux, Mac, iOS and Android. So the same controller when not in use or when not needed while using a PC can be used with any of the existing Android or Apple smartphones and tablets. 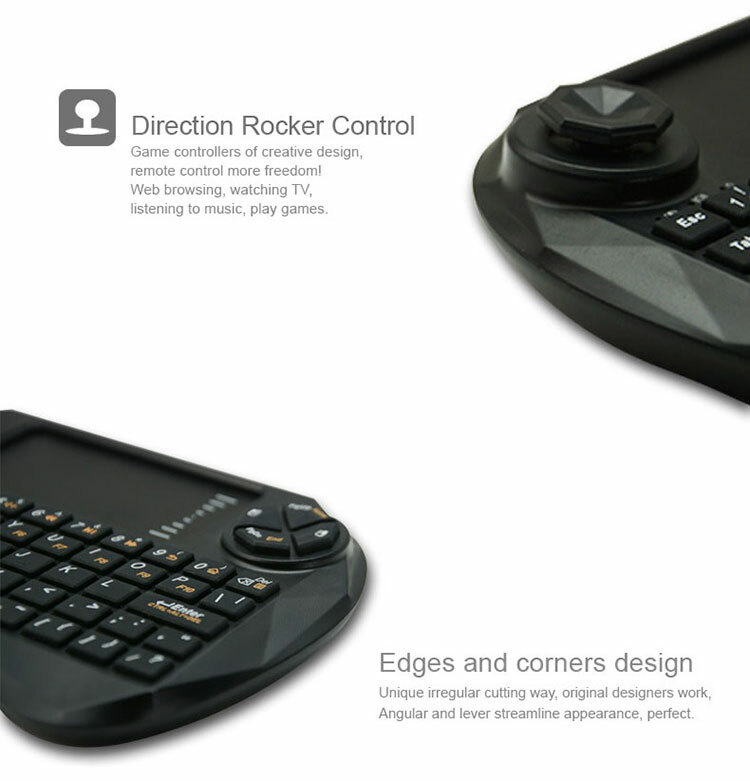 There are several such cool input devices and also regular keyboards available here at gearbest.com.